An easy way to taste the truffle melanosporum of Grignan, the most famous perfumed black truffle. Choose a truffle from our selection, studded on the dish of your choice. Price according to our producers, noted on the menu board. 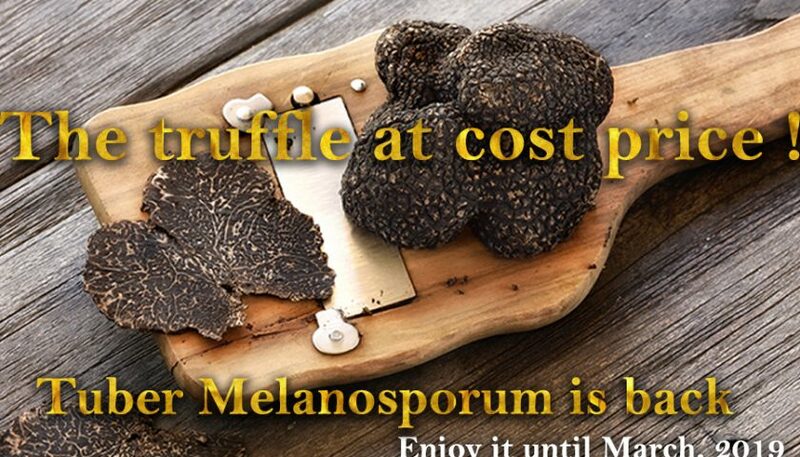 Our advice : 5 grams of truffle per person per dish. The menu prices are not modified, the truffle is simply charged as a cost price extra.